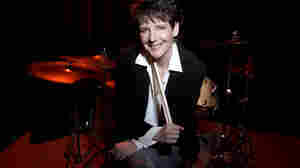 June 19, 2009  Sherrie Maricle is a musician of many talents: She's a drummer, an educator, a writer and a bandleader. 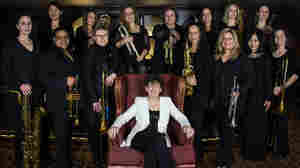 She's also the beating heart of an all-female big band, the Diva Jazz Orchestra. Joined by women from her group — pianist Tomoko Ohno and bassist Noriko Ueda — Maricle performs "Groove Merchant" and Ellington's "Squeeze Me." March 11, 2010  Drums — wide and deep talking-to-you drums — are the key ingredient in the Cindy Blackman sound. At the Women in Jazz Festival at the Kennedy Center, the Lenny Kravitz drummer brought her quartet featuring JD Allen. Sherrie Maricle's Fiveplay opens.